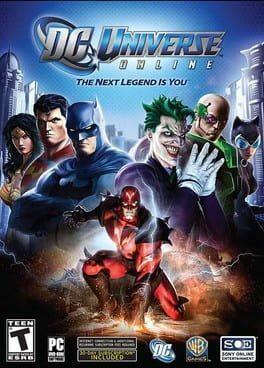 DC Universe Online is a free-to-play superhero / supervillian MMORPG that lets players create their own unique tights-wearing hero or villain and roam the streets of places like Gotham City and Metropolis fighting or creating crime. Players fight alongside such iconic DC Comics characters as Superman and Batman, Lex Luthor and The Joker, and many others. Excellent physics help bring comic book action and combat to life, all under the creative direction of noted comic book artist Jim Lee. DC Universe Online is available from 6.99 to 27.99 from 1 shops.